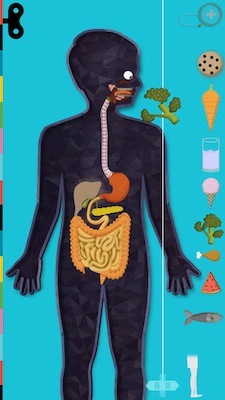 I've just spent an hour with my kids messing around with the The Human Body app by Tinybop. It's completely wonderful. Whether you're kid or a grownup, there is so much in this app. It's beautiful. It's playful. We got lost in it together. Incredible interaction design, sound design, visual design, engineering, and storytelling. My kids reviewed like this: "It has moving poo! This app is good!!!" I just say you should buy it to check out fantastic, inspiring work, and get transported into the world of the human body.